Steeped in the desert landscapes of California's Inland Empire, the Marriott Shadow Ridge villas provide a one-of-a-kind vacation experience you won't soon forget. Find timeshare resales and rentals available for prices up to 70% lower than retail costs today. Located in the warm, welcoming desert of Southern California, the Marriott Shadow Ridge resort introduces its guests to true Southwestern comfort. With the on-site Shadow Ridge Golf Club, a swimming pool complete with a waterslide, and so much more to see and do, you'll find a complete vacation experience waiting for you. Close to the San Jacinto Mountains and the best attractions the Palm Desert – Palm Springs area has to offer, you'll finally have that home away from home at the Shadow Ridge. Accommodations at the resort take the form of elegant studio units as well as one and two bedroom villas enough to accommodate a family or group of six. With an airy open concept design and beautiful views of the golf course, your homelike accommodations will have you coming back year after year. 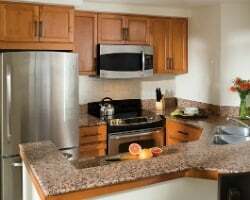 Enjoy desirable in-unit amenities like fully-equipped kitchens to prepare family meals, your own private terrace overlooking the landscaped grounds, and your spacious living and dining areas. Are you ready to guarantee yourself fantastic accommodations in this luxurious Marriott resort? Fill out the form on this page to learn more about owning a timeshare at the Shadow Ridge resort, or call a representative at 1-877-815-4227. Purchasing a timeshare resale at the Shadow Ridge villas can unlock years of great trips to California at a fraction of the price. Timeshare resales are posted for-sale-by-owner, which means they're often priced well below their retail value as offered by the resort. You could find amazing timeshare accommodations at the Shadow Ridge for discounts of up to 70%, giving you the vacation deal of a lifetime. Marriott Shadow Ridge timeshare resales come in the form of deeded fixed and floating Marriott timeshare weeks, giving you flexibility in finding an ownership interval that works for you. Timeshares at the resort fall within Marriott's Silver, Gold, and Platinum seasons, which also gives you a wide variety of price points to consider when buying a resale. Even better, your timeshare resale at the Shadow Ridge resort could give you easier access to all the great benefits of the Marriott Vacation Club. The Shadow Ridge is affiliated with the Marriott Vacation Club. While resale buyers can start making reservations at the resort as soon as they own their accommodations, you may choose to take advantage of the Marriott Vacation Club Destinations points upgrade to elevate your ownership and unlock more perks. If you decide to upgrade, you could use Marriott points instead of weeks to reserve accommodations at the resort, or at other Marriott resorts around the world. Marriott's Shadow Ridge is affiliated with Interval International, one of the world's leading timeshare exchange companies. Obtaining a separate membership with Interval can help you to truly get the most out of your timeshare resale ownership. Simply deposit your Palm Desert accommodations into the exchange network and trade for stays at similar resorts around the globe. Additionally, the Marriott Shadow Ridge currently maintains an Elite Resort rating from Interval, meaning its superior amenities and services will allow you to trade with other Elite rated resorts of similar quality. This upscale vacation ownership property pulls out all the stops when it comes to on-site amenities and services. 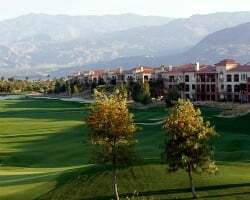 You'll find the resort's largest feature, the Shadow Ridge Golf Club, presents 18 holes of beautiful golf at the foot of California's golden mountain peaks. The Chuckwalla Outdoor Pool features a water slide and a sundeck perfect for taking in those desert rays. Lounge in the whirlpool hot tub by night, or opt to work up a sweat at the resort's fitness center. Dining is made simple at any one of the three on-site establishments—The Grill at Shadow Ridge, Chuckwalla Pool Bar & Grill, and Snake Bites Pool Bar & Grill. The Shadow Ridge marketplace is also available for snacks or last-minute essentials. The resort's location puts you close to a world of things to see and do around the Palm Desert/Palm Springs area. Take the Aerial Tramway to the top of Mt. San Jacinto for unparalleled sights of the surrounding desert, or peep extraordinary plant life and wildlife at the Living Desert Zoo & Gardens. Hike through the San Jacinto Mountains for an up-close-and-personal nature experience, or settle for shopping at the Desert Hills Premium Outlets. Don't miss the unique festivals and events that take place in the area, like the art shows at Frances Stevens Park or VillageFest every Thursday night. 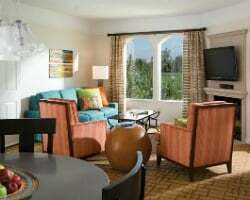 Already Own at Marriott’s Shadow Ridge?